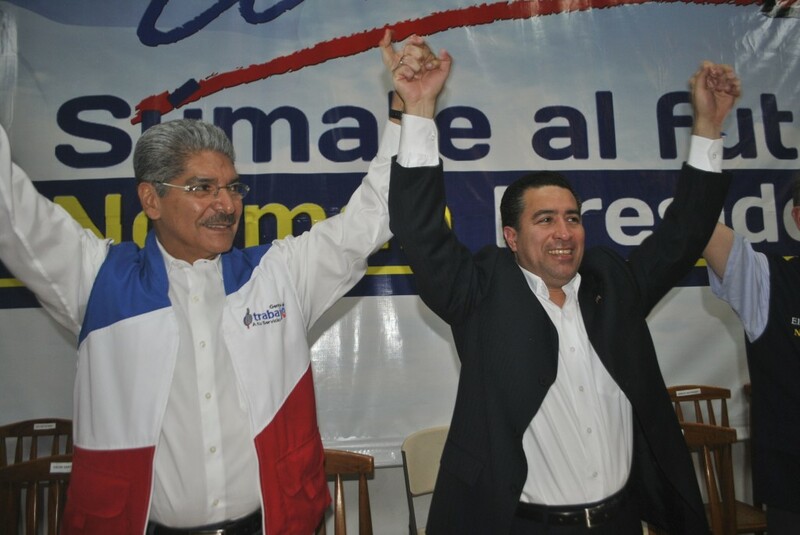 The February 2014 presidential elections in El Salvador will determine whether the country continues to embrace the social democratic orientation of the incumbent FMLN or reverts to the neoliberal project of one of the contending right wing tickets (ARENA or UNIDAD). ARENA is the traditional right wing party founded in 1981. UNIDAD is a coalition or movement of right and center right parties (GANA, PCN y PDC). This essay will draw some contrasts between the different directions the contending parties might take the country, examine some of the dynamics of the electoral contest, and finally urge the Obama administration to declare its neutrality with regard to the outcome of the elections to make it clear that Washington is not behind any campaign to subvert the democratic process in El Salvador. This political divide is somewhat complicated because the FMLN party of today is not exactly the same as the historic FMLN that fought against U.S.-supported oligarchic forces during the civil war (1979 – 1992) and sought to overcome, through radical structural chafnge, the extreme social and economic inequality that still plagues the country today. Since President Funes came to office under the banner of the FMLN in 2009, his administration has indeed ushered in an era of change by supporting increased social investment, education reform, infrastructure projects, tourism, and small and medium-sized agricultural production units. The FMLN administration has focused public investment in the poorest areas of the country and on the most marginalized sectors of the population. What is the political direction of this change? Since the peace accords in 1992, the leftist party has arguably veered from its revolutionary socialist roots in the 70’s and 80’s towards the center and has not been immune to the pressures of conforming to Washington’s efforts to rehabilitate a neoliberal agenda for the Americas. For example, the FMLN recently embraced a reconstituted form of neoliberalism by supporting the Public Private Partnership Law (P3) (passed on May 23), which sets up the legal structure for the state to contract out public services to private corporations for up to 40 years. Despite the objections of labor and social movements whose constituents took to the streets to oppose this bill, the FMLN legislators joined right-wing colleagues in voting in favor of the law. To be sure, the FMLN did manage to exempt a number of services (including water, education, the national health insurance system, and public security) from privatization under P3. The FMLN leadership was also cognizant that the U.S. Ambassador to El Salvador, Mari Carmen Aponte, threatened that the U.S. would withhold Millennium Challenge Fund aid worth 300 million, should the bill fall by the wayside. But none of this makes FMLN support for this law more palatable to those Salvadorans who will lose their public sector jobs or who will have to endure high rate increases for public services, nor will it stop ARENA, at an opportune time, from “perfecting” the law by removing the exemptions. A return of ARENA to the executive branch would signal a profound change in Salvadoran domestic and regional policy. There is little doubt, based on the party’s platform and direction, that an ARENA victory would expand the privatization of public services and open the country to the unregulated free trade policies that characterized its economic strategy from 1989 to 2009. An ARENA victory would also probably move El Salvador away from its growing commercial relationships with the Bolivarian Alliance of the Americas (ALBA), and in particular Alba Petroleos, and closer to the Pacific Alliance (Chile, Colombia, Mexico and Peru). This move would be preferred by ARENA’s allies in Washington. (Such a move would be controversial, however, because the private sector in El Salvador, regardless of political affiliation, is benefitting from the ALBA relationship.) In the area of security, though the Funes administration has been a willing partner of U.S. security cooperation, an ARENA administration would probably be even more accommodating to Washington’s international surveillance and security regime. The electoral contest also takes place in the context of a Salvadoran social movement to end the impunity of war criminals who have thus far escaped justice due to a 1993 amnesty law whose constitutionality is now under examination by the Supreme Court of El Salvador. The issue has become especially intense since October 1, 2013, when the Catholic Archdiocese of San Salvador shut down the most important human rights archives in the country, Tutela Legal, and dismissed the employees, placing the very documents that would be used in war crimes tribunals at risk of being compromised. These actions have provoked international solidarity with the thousands of Salvadorans, including those in the Salvadoran diaspora, who are at work recuperating the historical memory of the country and seeking justice for the more than 70,000 citizens killed during the war as well as the survivors of torture and other war crimes. An ARENA administration would probably seek to preserve the prevailing impunity, as it was during the Presidency of Alfredo Cristiani (ARENA, 1989 – 1984) that the amnesty bill was signed into law. An FMLN administration might not lead the charge to prosecute war criminals, but it would continue to leave the social and political space open for the courts to decide the legal issues and for civil society to seek redress and compensation for the victims. In summary, there is a great deal at stake in the upcoming elections both for El Salvador and the surrounding region. Polls Point to a Runoff Election Between the FMLN and ARENA. If none of the candidates garners 50% of the vote plus one valid vote in the first round of the presidential election on February 2, 2014, there will be a runoff election on March 9th of the same year. Most polls point to a runoff election between the FMLN and ARENA parties, given the current inclinations of the electorate. Of course, polls only give us ballpark figures, despite the claimed margins of error, and they always address a moving target. Moreover, various polling firms are giving different signals as to the current voter preferences, so the author proceeds with the proviso that such information ought only be used to supplement, not to determine one’s analysis of the dynamic forces behind the election campaigns. These three polls are not consistent with regards to the front runner; notably, the most recent poll (UFG) gives the FMLN a clear lead, but nowhere near what is needed to win the first round. While this author focuses on a runoff scenario that involves the FMLN versus ARENA, the UFG poll indicates that the spread between UNIDAD and ARENA remains too close to call. 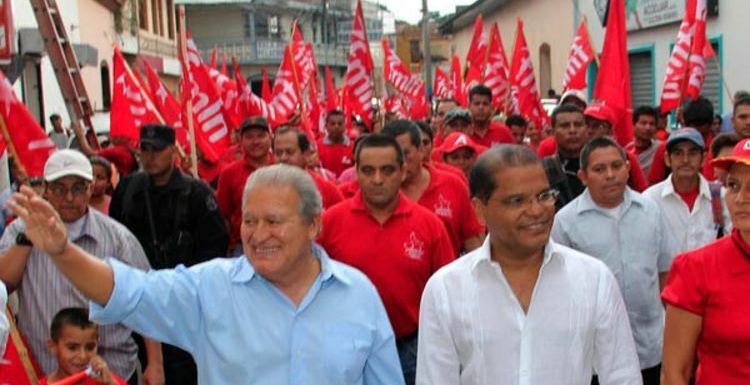 The FMLN now faces a divided right-wing attempt at a possible comeback. The combination of electoral support for ARENA and GANA poses an obstacle to the formation of an FMLN electoral majority in the probable case of a runoff election. In 2009, the FMLN managed to hammer out a coalition of leftist and independent voters ready for a change of course after more than 20 years of sterile ARENA rule. Now that slogan of change is heard from the voices on the right, while the left tries to maintain that their version of change will mean continuing to advance the sort of social gains made during the past five years. Norman Quijano (ARENA), Mayor of San Salvador, has been a champion of private sector investment as a principle means to bring about economic development. But his initial criticisms of the FMLN-sponsored social programs may have cost him dearly when it came to making converts. After deriding the school meal and uniform program in August, Quijano quickly changed his rhetoric to support the FMLN programs that are working, arguing that he would only make them more efficient. The ARENA platform calls for social justice, but based on a free market, free trade economic strategy. Antonio Saca plays a more populist tune, promising to focus on jobs and beef up public security, attacking the efficacy of the gang truce, and remaking himself as a center right candidate who is seeking to unify the country. 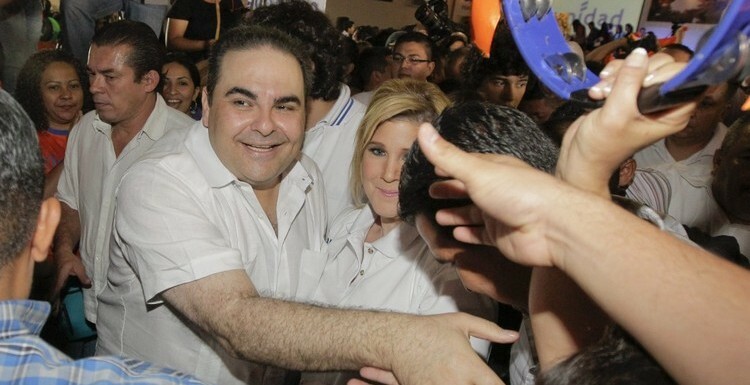 Antonio Saca (GANA/UNIDAD) was expelled by ARENA in 2009 and went on to form his own political party (GANA). So it is understandable that in the present campaign, Saca has left aside the nostalgia that he had expressed in his 2004 campaign, for ARENA’s founders, such as the infamous Roberto d’Aubuisson. Saca’s attempt at a comeback makes use of his public relations skills and his ability to reach out to ARENA defectors and other parties on the right and center right. However, this may not be enough to overtake his right wing rival. Both presidential hopeful Norman Quijano (ARENA) and Antonio Saca (UNIDAD) claim that they will have the good fortune to participate in a runoff election. Should Quijano come in second in the first round, some think that Tony Saca will probably be the deal maker. In such a case, would he shrug aside the intense antipathy between his GANA party and the leadership of ARENA and throw his weight behind ARENA in a runoff election? Or will he bite the bullet and make a deal with his long time ideological adversaries in the FMLN? An LPG Datos poll in September indicates that in a runoff between ARENA and the FMLN, 53.2 percent of UNIDAD supporters would vote for ARENA and only 25.8 percent would vote for the FMLN while 18.8 percent would not cast a vote. Should UNIDAD come in third place in the first round, we can expect to see both the ARENA and FMLN camps attempting to engage in some behind-the-scenes deal-making with Tony Saca. Washington Must Declare Neutrality Towards the February 2014 Elections in El Salvador. In what appears to be a technique out of the Venezuelan opposition playbook, Quijano seems to be hedging his bets in case he loses in a runoff by prematurely and irresponsibly charging the Supreme Electoral Tribunal (TSE) and the FMLN with preparations for committing electoral fraud. Quijano sounds somewhat hysterical, charging that the FMLN is “counting on the support of the shamelessness of those who are corrupt and traitors like Tony Saca and his group who are only too ready to collaborate with the dirty work.”  After eleven well-run elections by the TSE, such charges are unlikely to raise any widespread alarm, even among the ARENA base. But they could bring out the usual extremist allies in the U.S. Congress who consistently have tried to subvert the democratic process in El Salvador. The U.S. role in the last two Salvadoran election campaigns (2004 and 2009) shows that North American solidarity with democratic procedures in El Salvador can make a difference in the outcome of an election (more so in 2009 than in 2004). In 2004, a disinformation campaign, led by several Republican lawmakers and republished in the Salvadoran press, threatened to discontinue Temporary Protective Status (TPS) for thousands of Salvadorans in the United Sates had the FMLN won the elections. They also had suggested that an FMLN victory would make it hard for Salvadorans in the U.S. to send remittances to families in the home country. Similar tactics were used against the FMLN during the 2008 election campaign. In a December 2008 letter sponsored by Congressmen James McGovern (D-MA) and Dennis Moore (D-KS) to then Secretary of State Condoleezza Rice, fifty members of the US Congress, urged the State Department to support free and fair elections in El Salvador. As the election approached, CISPES led a campaign to urge the Obama administration to publically declare U.S. neutrality and willingness to work with whatever party wins the election. Just days before the 2009 election, Representative Raul Grijalva (D-AZ) and Representative Howard Berman (D-CA) made statements rejecting the scaremongering of their interventionist colleagues. Also, the State Department and the U.S. Embassy had made it clear that the U.S. was neutral with regard to the elections. The author was in El Salvador both in 2004 and in 2008 and witnessed the scare tactics that were deployed against the FMLN by the right wing parties and their allies in the U.S. The FMLN won the 2009 presidential election by a narrow margin with 51.3 percent of the vote to ARENA’s 48.7 percent. The Council on Hemispheric Affairs (COHA) joins CISPES and other organizations who are concerned about potential interference in El Salvador’s presidential elections in urging Washington to once again declare neutrality now, rather than later. It is up to the people of El Salvador to decide the outcome of the election. See the discussion by James Petras on the evolution of the FMLN; James Petras. “Do ‘Peace Accords’ Lead to Peace, Justice, and Security for the People? (Lessons from El Salvador for the Colombian FARC),” The James Petras Website, last modified July 23, 2013, http://petras.lahaine.org/?p=1947. See, for example: “Merino: Alba también le vende a ANEP.” Contra Punto. Last modified October 30, 2103.http://www.contrapunto.com.sv/politica/merino-alba-tambien-le-vende-a-anep. Frederick B. Mills, Thomas Abbot, & Ian Kowalski. “Tutela Legal Closed in El Salvador Amid Concern Over the Fate of Valuable Archives.” Council on Hemispheric Affairs. Last modified October 3, 2013. http://www.coha.org/tutela-legal-closed-in-el-salvador-amid-concern-over-the-fate-of-valuable-archives/. “ARENA a la cabeza en intención de voto.” La Prensa Grafica. Last modified September 3, 2013.http://www.laprensagrafica.com/2013/09/03/arena-a-la-cabeza-en-intencion-de-voto. Antonio Melara. “Sanchéz Cerén 30.4%, Tony Saca 25.5% y Quijano 25.2% según Data Research.” La Página. Last modified October 11, 2013. http://www.lapagina.com.sv/nacionales/87873/2013/10/08/Data-Research-Sanchez-Ceren-304-Saca-255-y-Quijano-252-. “La derecha se une en la segunda vuelta,” La Prensa Gráfica, last modified September 3, 2013, http://www.laprensagrafica.com/2013/09/03/la-derecha-se-une-en-la-segunda-vuelta. Kiste, Fátima. “Quijano acusa al FMLN de planear fraude electoral,” Diaro El Mundo, last modified September 23, 2013, http://elmundo.com.sv/quijano-acusa-al-fmln-de-planear-fraude-electoral. Fuller, Lisa. “CISPES 2009 Elections Analysis: The Road To Victory And Beyond,” CISPES Committee in Solidarity with the People of El Salvador, last modified March 25, 2009, http://www.cispes.org/programs/elections-and-democracy/cispes-2009-elections-analysis-the-road-to-victory-and-beyond/.